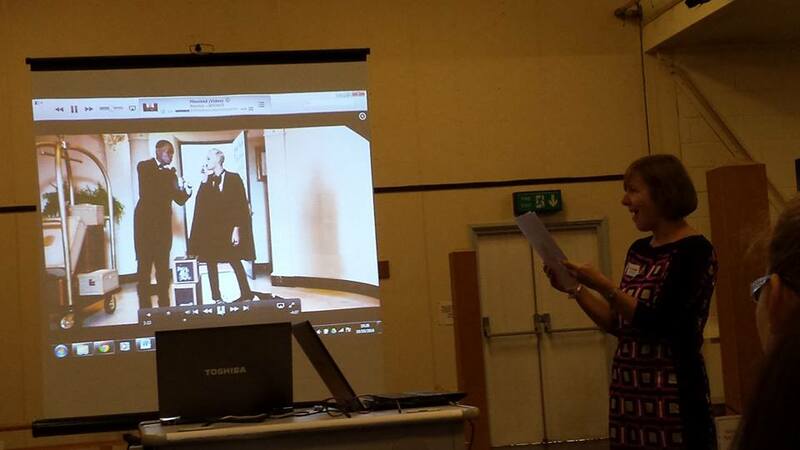 Sherril Dodds presenting her response to Beyoncé’s ‘Haunted’ video at PoP Moves 2014. Photography by Jonathan Skinner. The University of Chichester, Kingston University, University of Roehampton & Royal Holloway, University of London in collaboration with the Society for Dance Research. There are four trains an hour from London Waterloo to Egham (40 minutes), Reading to Egham (40 minutes) and Woking to Egham (35 minutes: change at Weybridge). You can also reach Twickenham (17 minutes) and Richmond (20 minutes) as well as Clapham Junction on the Egham to London Waterloo train for extra attractions and transport links. We are within a few minutes of the M25, M3 and M4. The College is on the A30, 19 miles from central London and about a mile south-west of the town of Egham. It is two miles from Junction 13 of the M25 (London Orbital). The runnymede-on-thames is a 4 star hotel in Egham, Surrey, nestling on the banks of the River Thames. The hotel has a variety of rooms with fully controllable air conditioning, complimentary WiFi, in-room safes, television with movies on demand and radio, mini bar and more. Parking available. Hydeaway House is a large Georgian style house in a quiet cul-de-sac of two houses with plenty of easy parking, in a pretty village adjoining Windsor Great Park. There are single, double and king sized bedrooms available. The parking is free with plenty of room. The Wheatsheaf Hotel is a traditional 18th century inn set on the edge of Windsor Great Park, overlooking Virginia Water Lake. The hotel has 17 rooms with en-suite bathrooms – family rooms are available. Each room also has a flat-screen digital TV, tea and coffee making facilities and unlimited Wi-Fi for guests. Parking on-site. A family run Bed and Breakfast, the Royal Standard is a homely guest house, situated in the heart of Virginia Water, close to all local amenities. We provide 10 comfortable quality en-suite bedrooms. A mixture of Double, Twin, Single and Family rooms. There is on-site parking. Located in Englefield Green, The Sun Inn features B&B accommodation offering a garden and a restaurant, just 4.8 miles from Windsor Castle. Free WiFi and free private parking are provided on site. The guest rooms come with oak furnishings and offer tea and coffee making facilities. Some also have a TV and a private bathroom, while others feature access to a shared bathroom. Savill Court Hotel & Spa is a 4-star hotels near Windsor. There is a choice of rooms including Single, Classic Double, Executive and spacious and impressive Four Poster Rooms. Stay connected with complimentary wireless access throughout our Windsor UK hotel. All bedrooms feature a mini fridge, safety deposit box, iron and ironing board, hairdryer, complimentary bottled water and tea and coffee making facilities for your convenience. Parking on-site. Set in historic Windsor, Beaumont Estate is a majestic hotel and conference venue. There are a range of room sizes available including single, twin, double and superior. Parking on-site. The hotel has recently been updated with our fresh new look and features Travelodge’s new room design complete with Dreamer Bed so you can be sure of a great night’s sleep. Guest should be aware this hotel does not have its own car park. Alternative parking is available at the Two Rivers car park located opposite the hotel. There are eleven double rooms at The Swan, equipped with Sky TV, free tea and coffee, desk, iron, phone and hairdryer. There is also free Wifi and parking.